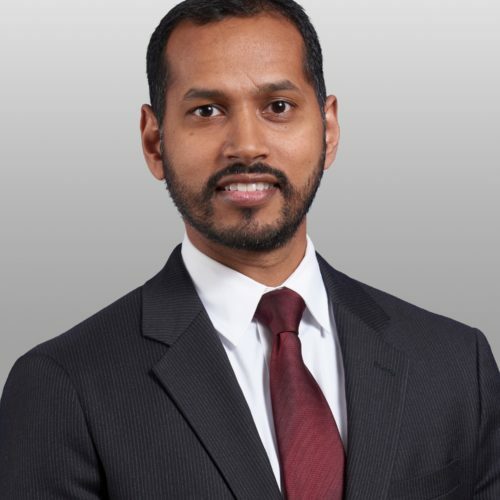 Shankar Duraiswamy is a partner in the litigation practice at Covington & Burling. He represents clients in high-stakes, complex litigation matters. An experienced advocate, Mr. Duraiswamy has litigated in numerous federal and state courts, handling cases from inception through trial and appeal. In 2017, Mr. Duraiswamy was named a “D.C. Rising Star” by The National Law Journal, recognizing him as one of the “region’s 40 most promising lawyers age 40 and under.” He was also named to Law360’s annual “Rising Star” list, a nationwide recognition that honors top attorneys under 40 “whose legal accomplishments transcend their age.” Mr. Duraiswamy is currently lead counsel in Kravitz v. Department of Commerce, a case brought in the District of Maryland challenging the inclusion of a citizenship question in the 2020 Census questionnaire. He also works closely with former Attorney General Eric Holder and the National Redistricting Foundation in their efforts to advance redistricting reform and combat racial gerrymandering. Mr. Duraiswamy’s work on Census and redistricting issues is part of his broader civil rights pro bono practice. Alongside the NAACP Legal Defense Fund and ACLU, Mr. Duraiswamy currently represents a group of Detroit homeowners challenging unlawful and racially discriminatory tax foreclosures in the City of Detroit. Previously, Mr. Duraiswamy worked to secure a nationwide class action settlement requiring the United States Postal Service to provide reasonable accommodations for deaf and hard-f-hearing employees. In recognition of his commitment to pro bono work, Mr. Duraiswamy was honored by Covington in 2017 as the senior Charles F.C. Ruff Pro Bono Lawyer of the Year. Mr. Duraiswamy serves on the Boards of Directors of the Washington Lawyers’ Committee for Civil Rights and Urban Affairs and the Neighborhood Legal Services Program. He is a graduate of Harvard College and Harvard Law School, where he was an editor of the Harvard Civil Rights – Civil Liberties Law Review. 10:30 a.m.	- 12:00 p.m.